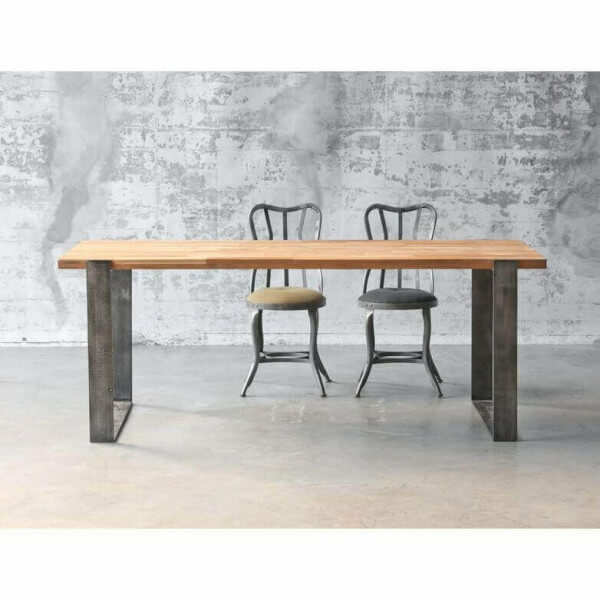 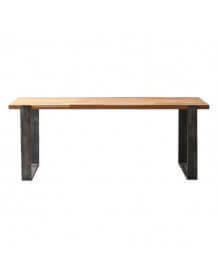 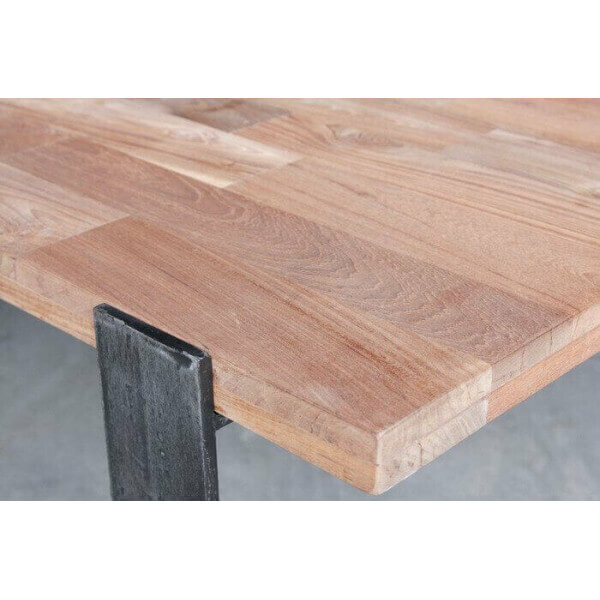 Dining table with a trendy mix of wood and steel. 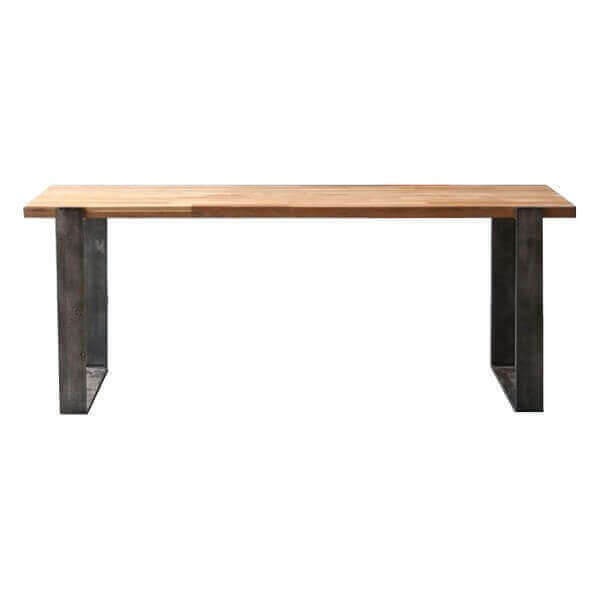 Sleek, contemporary design with a touch of industrial style given by the brushed metal legs. 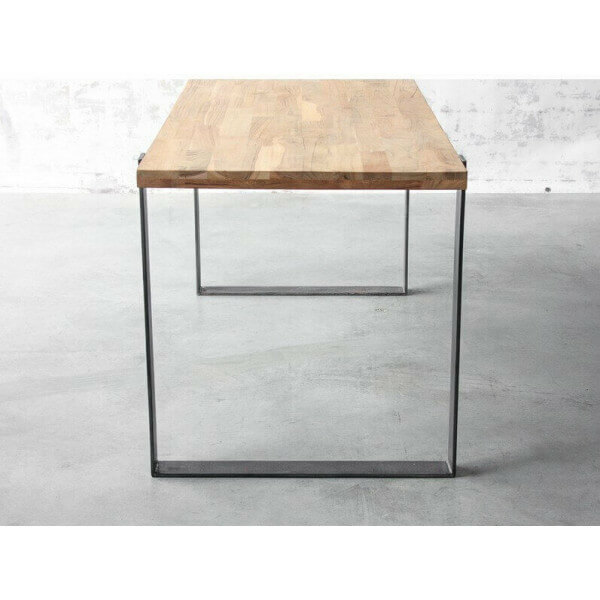 Clean lines to suit any interior style. 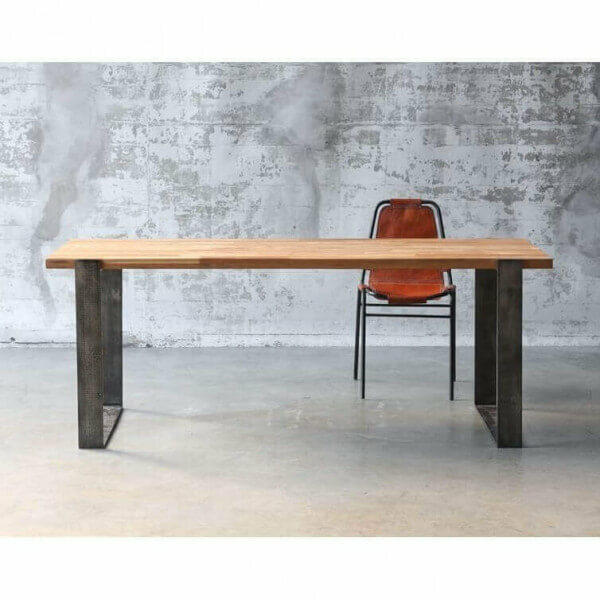 Solid reclaimed teak for the top and black metal legs.